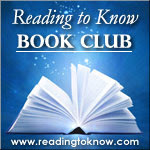 I will be reading The Scarlet Letter in conjunction with the Reading to Know Book Club. Here is the 2013 reading list for the book club. As you will notice, it is entirely classics-focused. Feel free to join in any month you like! Also, I will be reading Little House on the Prairie aloud with Bookworm1 in participation of Barbara's Second Annual Laura Ingalls Wilder Reading Challenge which she will be hosting again this February. Head over to Stray Thoughts to find out more about the LIW Challenge. 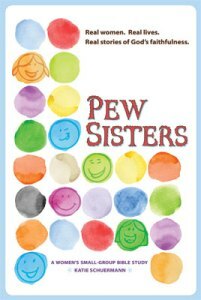 I was sent a copy of Pew Sisters , by Katie Schuermann for review so I will be giving this a read through. 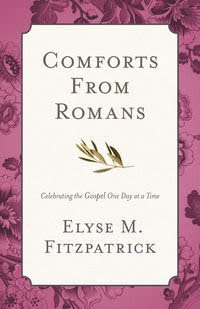 I will also be participating in a book tour for Comforts from Romans: Celebrating the Gospel One Day at a Time , a new release from author Elyse Fitzpatrick and publisher Crossway Books! I'm excited about this one. I think I'll not commit to any other titles for this month. The rest will be stuff that I manage to sneak in from my bookshelves. I have a ton of books that I've been given as gifts or "had" to have at some point or another that need the reading! I like the freedom of choosing as I go along, as much as I like a list of stated goals! Heh. We'll just say that any other titles beyond the above will be a surprise, ok? Now. 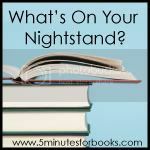 What's on your nightstand?! I'm off to find out! I'm glad you put this up early -- these months where the 4th Tuesday is not the last Tuesday always throw me off. 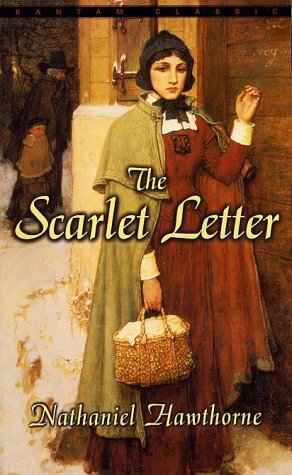 I haven't decided about The Scarlet Letter yet -- I'd like to read it again since it has been high school or college since I've read it, but there are so many other books I want to read, too. I may see if I can find it on an audiobook. Thanks for the mention of the LIW challenge! I'm getting excited about it. Pew Sisters sounds interesting. I need to read something by Elyse St. Patrick some time -- I keep hearing good things about her. Looks like a good month ahead for you. I'm having a hard time picking from my list, but it's so good for me to at least try to focus! Ditto what Barbara said about the Nightstand post. ;-) Your post prompted me to write mine. I'm not sure about Scarlet Letter this time around, either. I've read it several times (and maybe even taught it a time or two? ), so I might turn my attention to other things. I think it's exciting to have a clean slate! Hmmmm ... now I'm wanting to re-read Scarlet letter as well. I read it years ago and recall enjoying it (at least fairly much). But my sophomore daughter (who loves to read) just finished it for school and pronounced it "awful." Your classics sound wonderful, as does the LIW challenge. I'll have to check that out! "I have a ton of books that I've been given as gifts or "had" to have at some point or another that need the reading!" Oh, yes. I can relate to that sentiment! Looks like you have some good stuff on deck. Happy reading new year! 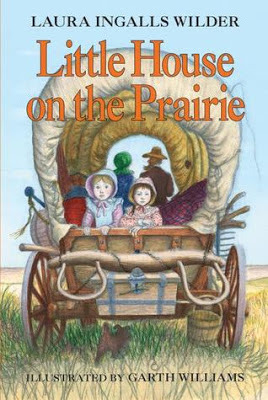 Just seeing the cover of "Little House on the Prairie" brings back good memories of reading with my girls when they were younger. "Comforts from Romans" sounds like a wonderful book. I'll look forward to what you'll share about it! My husband has been reading Little House on the Prairie with my six year old :O) Sounds like a fun reading list! I am spending a year in the Book of Romans and am curious to see what you think of Fitzpatricks Comforts From Romans. I need to add The Scarlet Letter to my shelf for February too! The Romans one looks good. I like your trimmed down list a lot. I have a problem with OVER commitment, so I congratulate you for not going too far. I'm so excited for The Scarlet Letter. Well, I'm excited for this whole book club. I'm going to try to join in with both the bookclub and Barbara's Laura Ingalls Wilder challenge next month--but with it being the month before the wedding (and since we have three books we're supposed to read for premarital counseling before then), I'm not making any promises. I've been slowly reading the LIW books so should try to remember to at least read a book (or two) in February, even if I don't participate in the challenge. Love Romans! Looks like a totally different take on it. I agree with being able to pick something off my shelf (or the library which is my downfall) and just reading to read it. If I pick too many books I don't have quite as much fun. I'm hoping to join in on your bookclub when I can...what a great lineup! I don't think I've read The Scarlet Letter since high school. We just finished Little House in the Big Woods and are about to start Prairie, so I need to check out that challenge! And...I'm doing the Romans tour too, but forgot to put it in my post!